The Ned Kelly is a high performance short board ridden at your normal length. 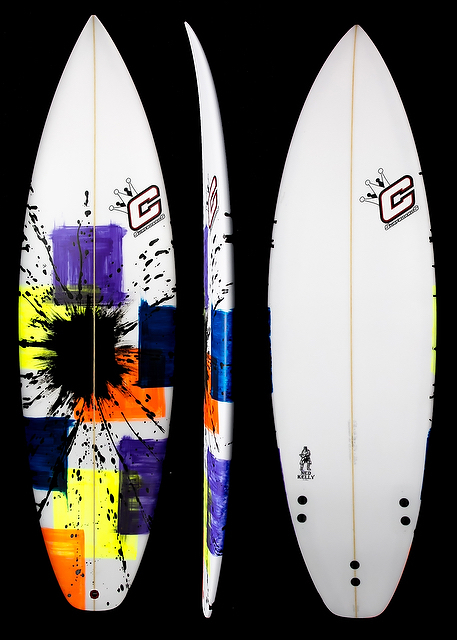 The board has aggressive deep single to double concave with low rails. This entry rocker is medium and the “V” in the tail increases the tail rocker for more release in critical situations. The board works best with the standard medium squash tail. Definitely a must for the serious performance surfer or the more aggressive surfer.